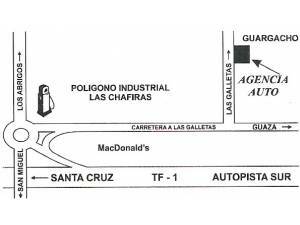 Business Director * Cars & Bikes * Automobiles: sales * Agencia Auto S. L.
That first thing that strikes you when you walk into the showroom of Agencia Auto in Guargacho is a beautiful gleaming cars. Importing and selling prestige brands such as Mercedes, BMW, Porsche and Ferrari is the main Business of Agencia Auto who have been in the trade for 20 years. But you can come to them for anything to do with cars because, as Thomas says: “We can help A to Z”. The prestige cars are imported from Germany and you can buy new or “semi-new”. A car like BMW or Mercedes holds its price verry well which is why a one or two year old car is ecellent value. They can do part exchange with any models provided they are of a decent quality and can try and source smaller cars on request. Cars can be delivered to your door and come with a least the statutory one year warrenty. Services, repairs, valeting and special polishing treatment can also be arranged, literally providing all services under one roof. Thomas is always one hand to show customers around the showroom where they are usually 15 to 20 cars to display. Agencia Auto are multi-lingual, speaking English, French, German and Italian. Marta can help you with everything from registrations, changing your driving licence, taking out insurance and sorting out any historical problems with a car you have bouth from someone else. These services are available at a reasonable cost regardless of whether you have bought a vehicle with Agencia Auto. They can also arrange for youre car to be imported and for the plates etc to be changed. 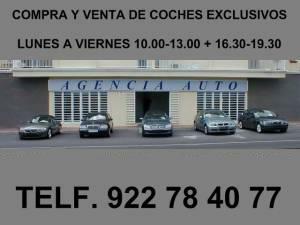 This is a Yellow Page entry for the company Agencia Auto S. L. in the branch and in the region Tenerife.